With an aim to check flow of illicit funds and other manipulative activities in the stock market, regulator Securities and Exchange Board of India is planning more frequent inspection of various market entities and a new code of conduct for brokers. Besides, the capital market regulator would ask all the market entities, including brokers and mutual funds, to implement the new common know your client norms even for their existing clients in a phased manner. These are part of the policy initiatives proposed by Sebi for the current fiscal year, 2012-13. These have been approved by its board and would be implemented over the year ending March 31, 2013. The proposed 'code of conduct' would detail various obligations that the brokers have towards their clients and would be drafted by Sebi in consultation with the stock exchanges. The Sebi would also look at setting up an alternative trading mechanism for small-cap companies, which witness concentrated shareholding and low trading volumes, thus posing potential risks to the investors. Among other initiatives, Sebi would also look at establishing and maintaining a more effective information management system, employing latest technology and developing teams of expert officers for benefit of various market segments, especially the derivatives trade. Regarding various market entities, Sebi is of the view that all of them must maintain high standards of integrity and fairness and also act with due skill, care and diligence in the conduct of their business, with high levels of compliance. Sebi has said that the number of inspections of intermediaries was enhanced considerably during the last fiscal, and steps are being taken to strengthen and monitor the process of follow-up of the findings of such inspections. "This process will continue in the year 2012-13 also with further increase in the number of inspections," Sebi said, while adding that it was examining a proposal of carrying out inspections of market entities through chartered accountants. "We also propose to review the internal audit and inspection process of the stock exchanges and the depositories and their penalty structures with a view to take steps for further improvement," the regulator said. Besides, Sebi would consider carrying out 'some specific inspections to check the compliance of anti-money laundering rules by the intermediaries'. In this regard, the Sebi also plans to strengthen the concept of beneficial ownership in KYC process in coordination with other financial regulators like Reserve Bank of India and Insurance Regulatory Development Authority. and has also implemented the concept of single KYC so that the investors need not undergo the same process again and again when they approach other intermediaries. At present, this concept has been introduced for new clients and the Sebi now plans to implement the system for the existing clients in a phased manner. Sebi is already talking to other financial regulators so that the system may be implemented for the entire financial sector. Regarding credit rating agencies, Sebi would consider further steps to bring about transparency in their operations and for avoidance of conflict of interest during the last two years. This year, Sebi plans to review the net worth criteria and other issues relating to definition of promoters and promoters' stake in CRAs. Besides, Sebi would further simplify the procedural aspects regarding registration of market intermediaries and would review the entire certification process for them, while introducing a certification process for the compliance officers of the market entities. Sebi would also look at further beefing up its own resources to meet the demands emanating from the growth of capital markets. Last year, Sebi decided to strengthen its regional offices by delegating additional activities to them it decided to open one western regional office in Mumbai and three local offices in Hyderabad, Lucknow and Guwahati. While office buildings have been identified and further work is in progress, Sebi now plans to open five more local offices during 2012-13, depending on investor population and securities market activity of various parts of the country. Besides, Sebi would emphasise on training its existing staff and strengthen its manpower through fresh hiring during the current fiscal. Based on the proposed initiatives and the requirements of its various departments, Sebi has estimated a total revenue expenditure of Rs 186.45 crore (Rs 1.86 billion) during the financial year 2012-13, marking an increase of about 15 per cent from the previous year. 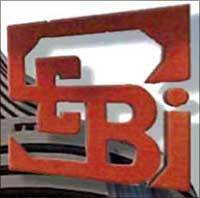 Sebi has estimated its total capital expenditure for the year at Rs 436.90 crore (Rs 4.36 billion), mainly towards acquisition of new office premises/plot of land for additional office space in Mumbai, setting up of five local offices at new locations, purchase of flats for senior executives in Mumbai and purchase of office space for Northern Region Office in New Delhi. The total income for the year 2012-13 is estimated at Rs 347.83 crore (Rs 3.47 billion), which would mainly come from from fees from intermediaries and income from investment. On account of fall in market volumes, coupled with slowdown in the primary market activity, fees from stock-brokers and fees receivable for filing the offer documents are estimated to show a decline this year, Sebi said.